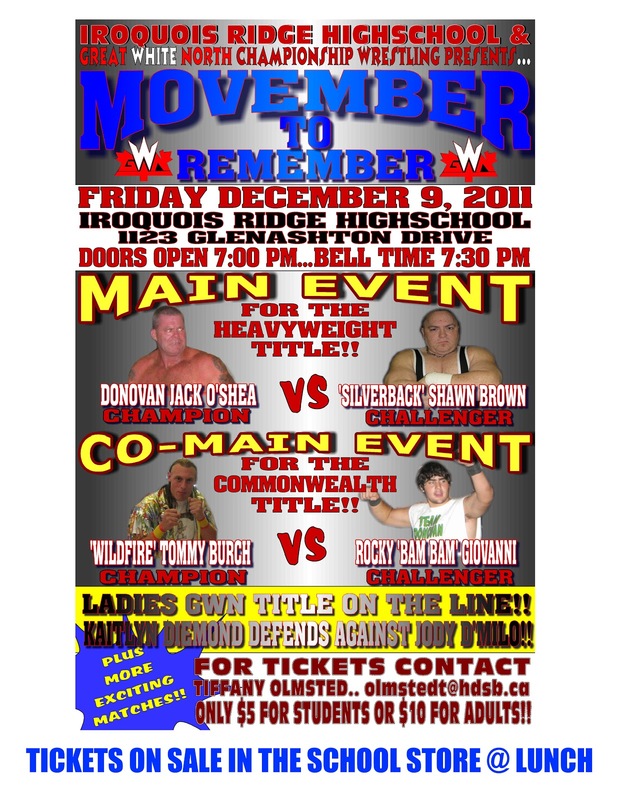 Movember to Remember is an EPIC wrestling event taking place in the Ridge gym on Friday Dec. 9 from 7-9:30pm. The GWN Championship wrestlers will end our Movember fundraising month with a smack down! Tickets are on sale at lunch in the school store for $5. Bring your family and friends as we raise funds and awareness for men's health, specifically prostate cancer.